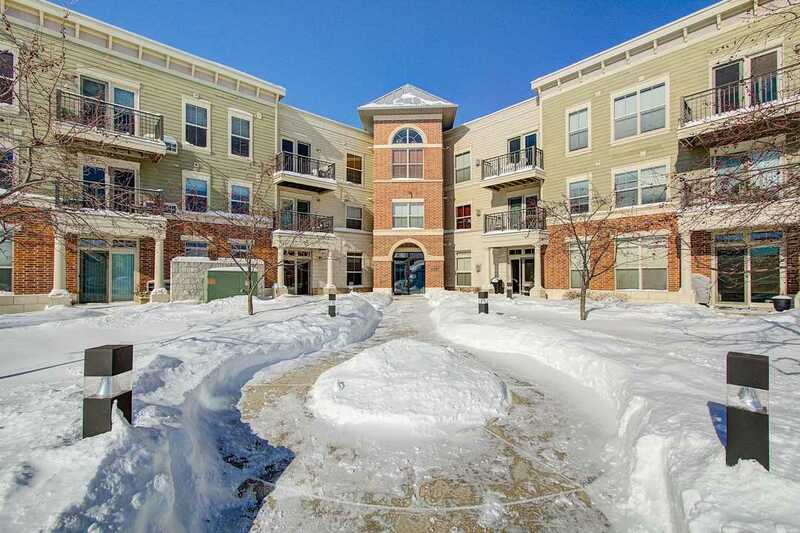 Elegant first floor condo located in Sun Prairie's Smith's Crossing. This meticulously maintained unit is located off the beaten path, but just minutes from shopping, dining, grocery, healthcare, etc. Ample green space surrounds the building and just a short walk brings you to the neighborhood YMCA or hair salon. Open concept, secure building entrance or private entrance through the patio, in unit laundry, private underground parking w/additional storage, elevator, and new heating/cooling in the unit. Low maintenance, headache free living with a professionally managed, pet friendly, well maintained association. Directions: From Hwy C/Reiner Rd, East On O'keefe Ave, Right On Leopold Way, Parking Lot Is On Right Just After Smith's Crossing.